I believe Arrow is taking a page from The Flash. 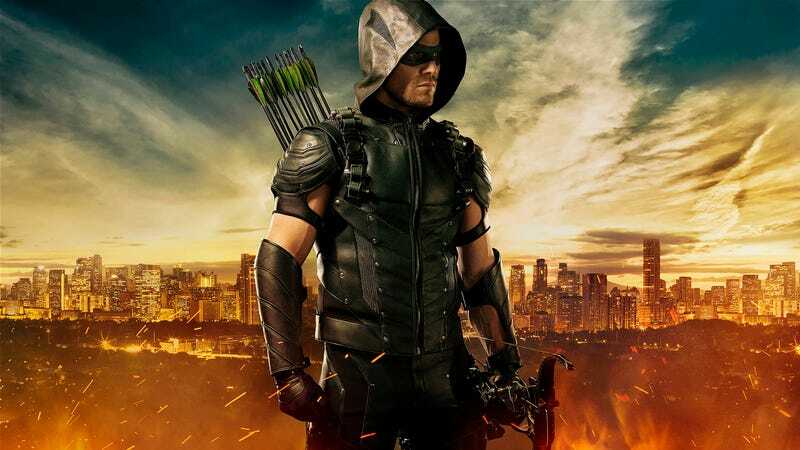 After watching its spin-off series debut to massive ratings, it looks like Arrow is going to get a little less dark in season 4, and that includes Oliver Queen’s new duds. Check out his new suit for the new season, and tell me that couldn’t have come right out of the comics. I tell you, if there are a few trick arrows in that quiver, I won’t be the least bit surprised.